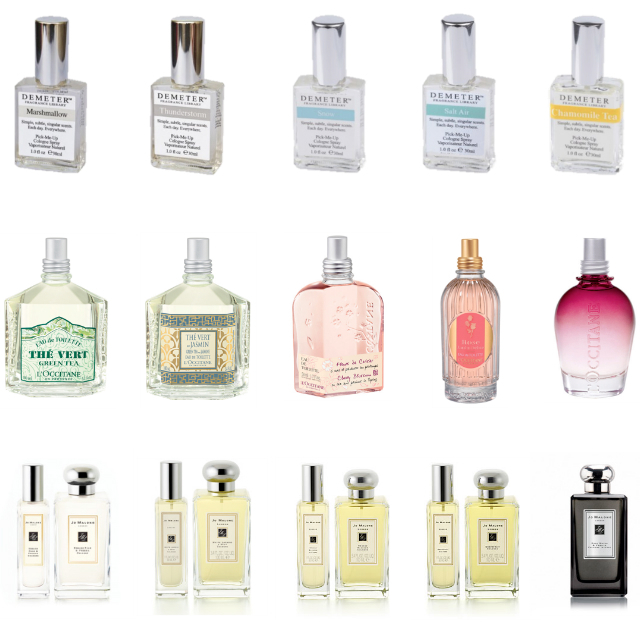 You can click on each link below to read about (and subsequently drool over) each scent. Got any recommendations for other 'clean' scents? PS : Thank you "I<3Mimi" for alerting us that the photos weren't showing up in the previous post! Actually, I think you should check out the Marc Jacobs "Splash" scents. They are all limited edition fragranges in whopping 300ml bottles in scents like Amber, Basil, Cucumber, Gardenia etc. I just tracked down "Rain" on Amazon and quickly bought it. You may need to do some searching around as most scents are discontinued but they can go for pretty cheap on eBay. And he releases 3 new scents every year - current ones are inspired by cocktails. I love Demeter as well!! I have Watermelon and it's my favourite summer smell :D Will check out your other suggestions - I love summery, fresh smells! I have been wanting a simple scent for awhile! Now I know where I can locate one I will have to pop in and have a look!